Rafael Nadal has confirmed he will miss both the Indian Wells and Miami Open events due to his ongoing hip injury. 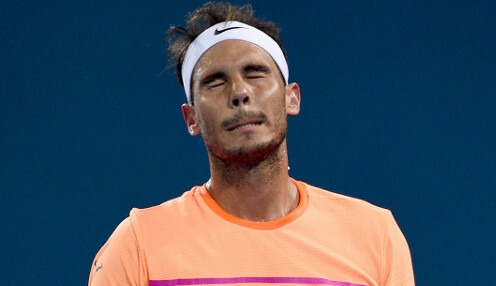 The Spaniard was forced to withdraw from the recent tournament in Acapulco, his first event since reaching the quarter-finals of the Australian Open. Nadal has been hindered by his hip problem for several months and has now confirmed he will not be fit enough to travel to the two upcoming Masters events in the USA. Breaking the news on social media, the 31-year-old apologised to his fans but insisted that it was the right call for him to make. Nadal wrote on Facebook: "Hi everyone. Unfortunately, the injury I suffered in Acapulco before starting the tournament is in the same area as the one suffered in Melbourne. "I won't be able to play in Miami or Indian Wells as I need to recover. It was very painful to retire from Acapulco and it’s very hard as well to not play in the USA. "I will miss you and I will do everything that’s possible to be back there in 2019. Thank you." Stan Wawrinka also confirmed on Friday that he would not be heading to either Indian Wells or Miami and both will now be setting their sights on the clay court season. Nadal won a record 10th French Open title in 2017 and returning to Paris is likely to be his main goal for the coming weeks. The 16-time Grand Slam winner is 2/5 to defend his crown, with Roger Federer 1212/1 and 2015 winner Wawrinka 33/1.